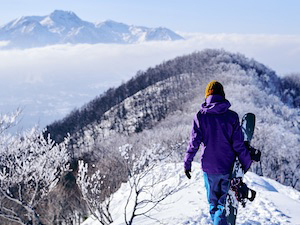 When coming to the Shiga Kogen, participating in snow activities is a definite must! 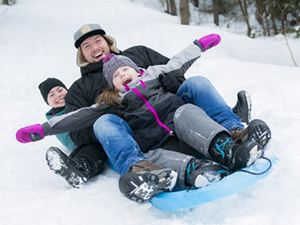 But if you’ve had your fill of playing around in the snow, then a more cultural or entertaining endeavor might be right up your alley. The most highly recommended non-ski/snowboard thing to see in the area is the Snow Monkey Park. 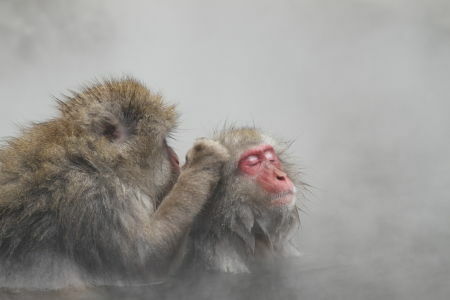 Here you can see the world-famous snow monkeys lounging around in their hot spring. The park is easily accessible by bus. Just get on the local bus-line and get off at the Snow Monkey Park bus stop. You will have to walk for 30 minutes to get to the park so stack up on hot foods and drinks at one of the cafes in front of the park trail entrance for energy. 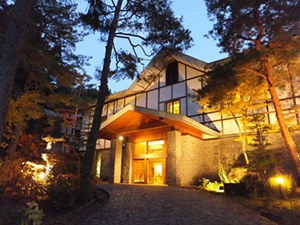 The bus time table from the Shiga Kogen area to the Snow Monkey Park bus stop is stated on Snow Monkey Resorts Magazine Vol. 4 on page 12 (See the bus line number 2). 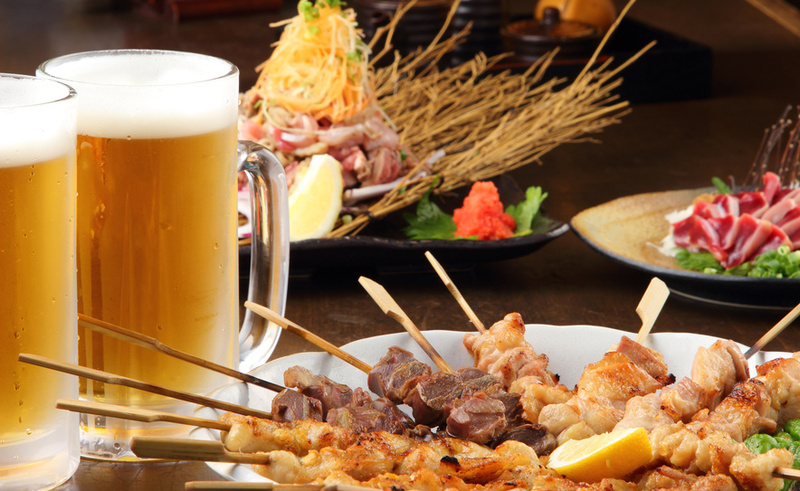 If you are also looking for a lunch restaurant before/after the visit to the Snow Monkey Park, check the areas Kanbayashi Onsen (for close to the Monkey Park), or Yudanaka Onsen (for close to the Yudanaka station). If you still have gusto to see more after the snow monkeys and lunch, then head down to the main road from the snow monkeys. 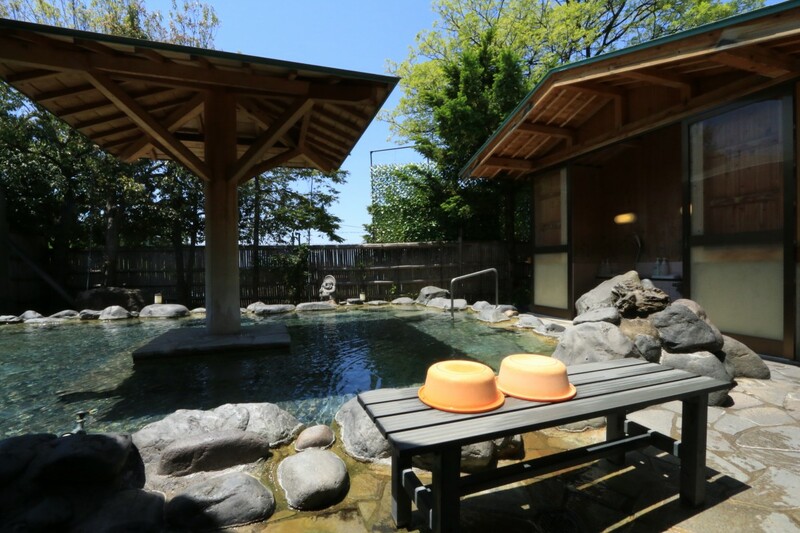 You can enjoy an outdoor, public onsen called “Waku Waku no Yu,” which is one of the few traditional-style onsen houses accessible by foot from the Snow Monkey Park. You can also visit to Amagawa Shrine, the local Shinto shrine, just to say a quick prayer before moving further down to a sake brewery called Tamagawa Honten, only local sake brewery in Yamanouchi Town. 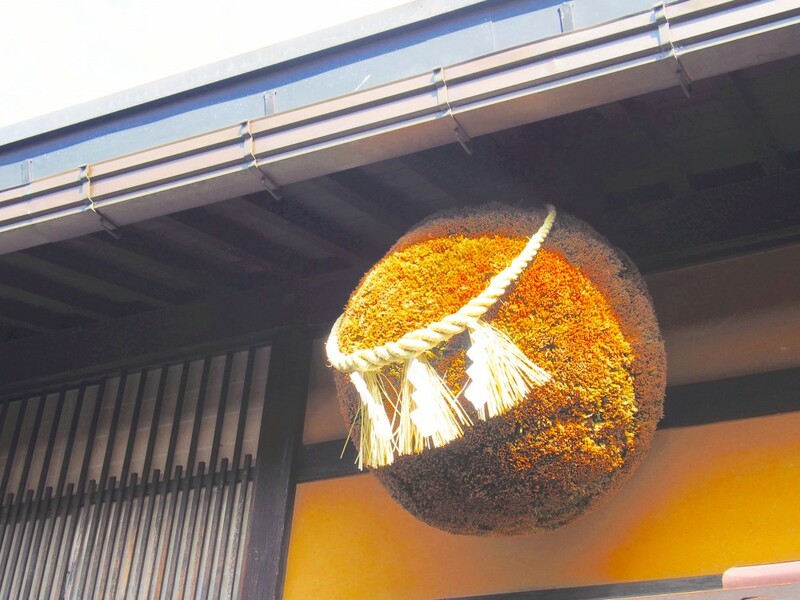 You will find no English explanation but when you see a ball of cedar twigs hanging outside an traditional, black building, you’ll have found the brewery. 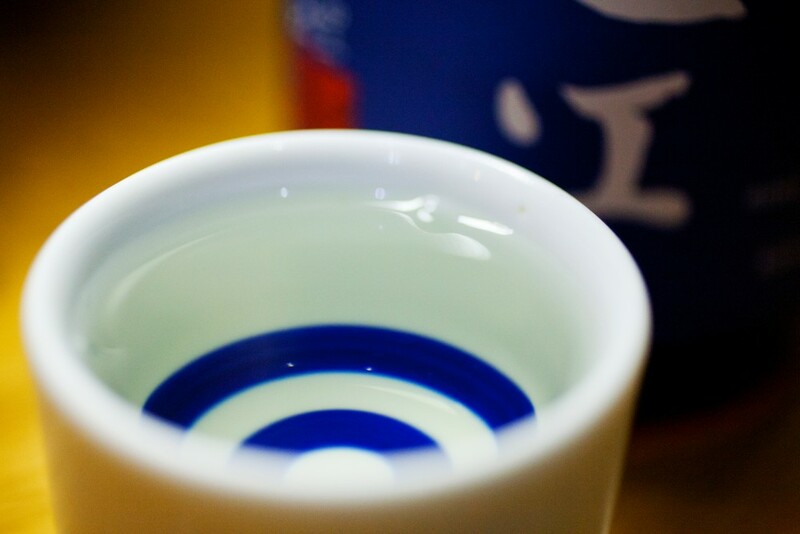 Here you can experience tasting several kinds of original sake brand “Engi” and also get a bottle of sake to take back with you. 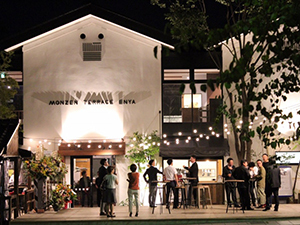 The second floor of the brewery is the exhibition gallery for their history and culture of sake production. After your visit to the brewery, walk down to the river. 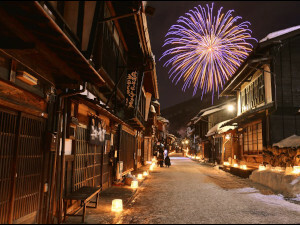 You’ll see a red bridge called “Wago-bashi” and Shibu Onsen, a 1300 year old onsen town, on the other side of it. 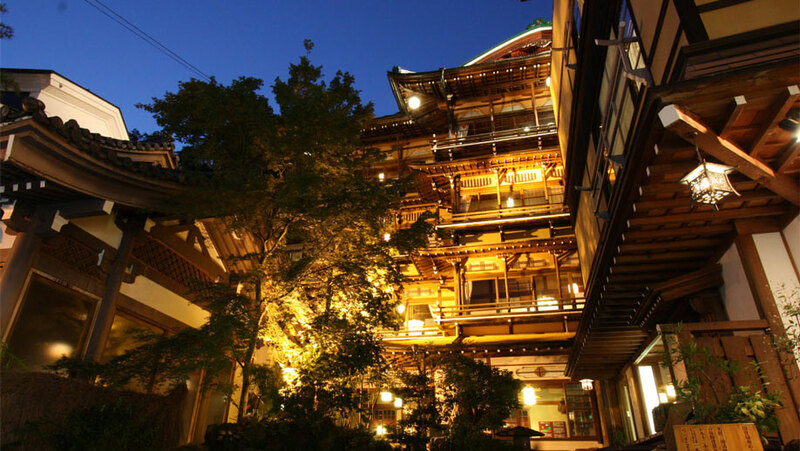 In the Shibu Onsen area you can go to the local Onsen Temple, enjoy the atmosphere of the ryokan (Japanese inns), see a building that resembles the bath house of the Ghibli movie Spirited Away, try some of the “onsen manju” (sweets with red bean paste), or enjoy one of the several hot foot baths. 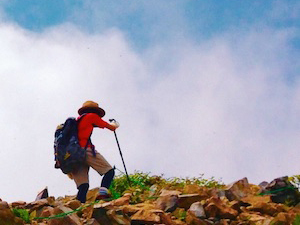 Walk down the street of Shibu and climb the set of stairs at the end of the little town. When you get to the end of the stairs, you will find yourself at the Heiwa Kannon Peace Statue (also called the Peace Kannon). After you are done with the Buddha, go down the stairs and walk along the street until you get back at Yudanaka Station. 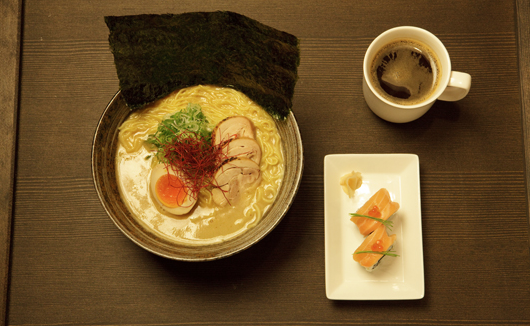 If you are looking for dinner, GOEN (a mix of traditional Japanese food like sushi and Western food like fries) or D-Line (pizza, cocktails, and many more) are where to go. Careful with the bus going back, as buses get limited in the evening. For the timetable please check this page. These are a few of the things to do in the Snow Monkey area. If you don’t mind wandering further away, pay a visit to Obuse or some other places found at our destinations page. There are plenty of things to see and do in the area, so choose wisely!